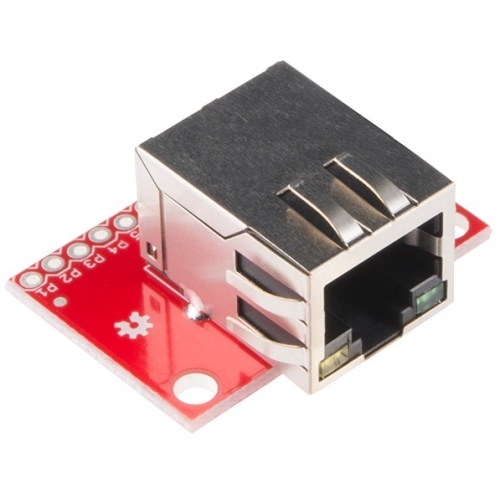 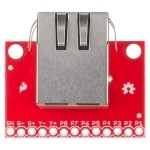 This is the SparkFun RJ45 MagJack Breakout, a simple board that will provide you with a way to put an ethernet port into your breadboard. 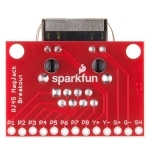 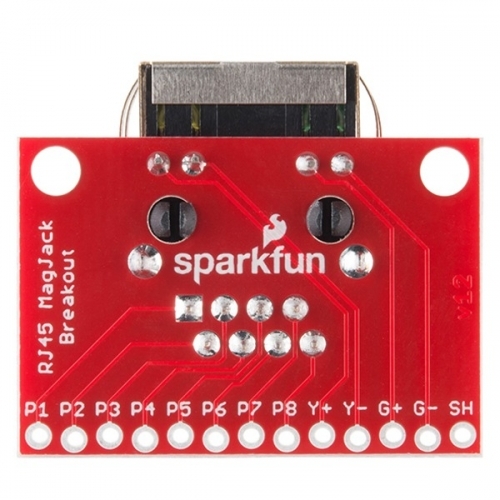 The SparkFun RJ45 MagJack Breakout breaks out each pin from the ethernet jack. 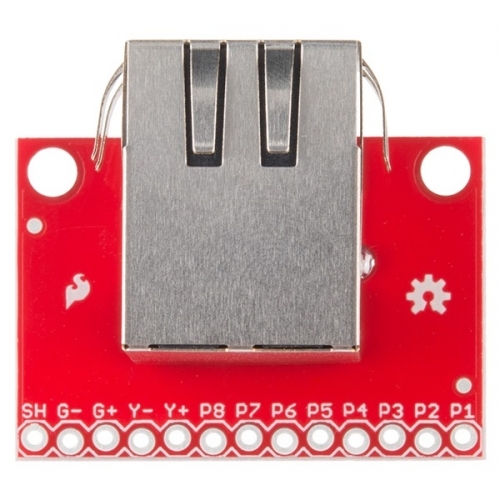 This rev of the breakout is equipped with the RJ45 MagJack connector already soldered to the board which mean you no longer need to solder the connector to the board yourself or worrying about buying them separately!